Art is currently a regular contributing writer for DRUMHEAD Magazine, Issues 5 (November/December 2007) to present with over a decade of regular writings/contributions to Drumhead Magazine. 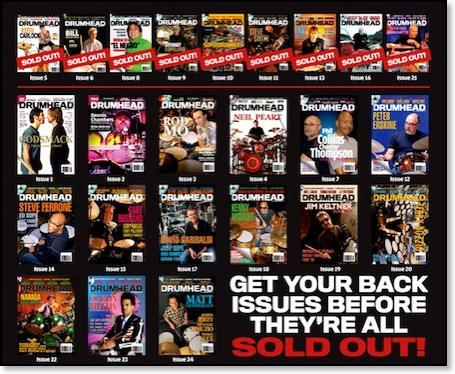 Drumhead Magazine is the # 1 Drum Magazine in Circulation. Art's Contributions/lesson material are available both via the in-print version of Drumhead Magazine, and also in the Drumhead digital editions/archives, Issues 5 to present. Audio demonstrations of lesson examples performed are also included on the DRUMHEAD CD’s for most issues. Video performances should also available for each lesson examples in select issues, for subscribers of Drumhead digital edition.